THE HUNGER GAMES: MOCKINGJAY – PART 1 Earns $17 Million from Thursday Showings; Can It Hit $150 Million? Lionsgate’s The Hunger Games: Mockingjay – Part 1 is off to a fairly strong, if a tad underwhelming, start at the box office. The film took in an estimated $17 million from Thursday night showings, which is actually short of its previous two entries. 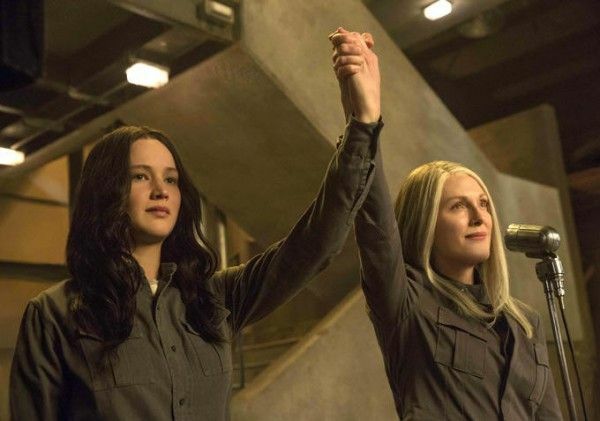 The first Hunger Games took in $19.7 million from midnight-only showings in 2012 and ended up with a $152.5 million opening weekend, while last year’s Catching Fire earned a whopping $25 million from Thursday night showings on the same weekend last year, going on to gross $158 million for the weekend. 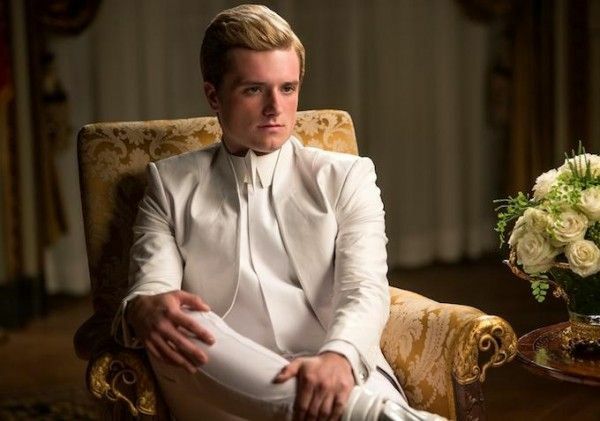 While experts have been predicting a massive opening weekend for the highly anticipated (and also well-crafted) Mockingjay – Part 1, these Thursday numbers have some wondering if it might miss the $150 million mark. More after the jump. It’s unclear why the Thursday night showings for Mockingjay – Part 1 underperformed, but it doesn’t necessarily indicate a weak showing for the weekend overall. It’s possible fans opted to skip the Thursday shows in order to see the movie later this weekend, and there’s also the cold/snowy weather in parts of the country that could have been a factor. And perhaps the fact that it’s a “Part 1” makes the necessity to see it feel less immediate? Reviews have been mostly positive for Mockingjay – Part 1, but they fall short of the overwhelming praise for the first two films as most agree that film is a setup for next year’s sure-to-be thrilling finale—and understandably so. Box Office Mojo notes that if Mockingjay – Part 1 follows the box office pattern of last year’s Catching Fire, it will end the weekend with a total take of somewhere around $106 million. That’s nothing to scoff at, but it’s significantly short of the $150+ million take of the first two films. Again, there’s always the possibility that the numbers could pick up over Friday and Saturday, so we’ll see how things end up on Sunday. Moreover, the film is almost guaranteed to nab the title of the highest grossing opening of the year, eclipsing Transformers: Age of Extinction‘s $100 million weekend. Regardless, I thought Mockingjay – Part 1 was a fine entry in what has turned out to be one of the most pleasantly surprising franchises in recent memory. It’s an adaptation of the worst book in the trilogy, sure, but director Francis Lawrence really plays up the themes of propaganda and the business of war, making the movie about something, which is more than I can say for the vast majority of tentpole pictures in the marketplace.